Yuyi Morales Shares Her Dreams | Kid Reporters' Notebook | Scholastic Inc.
“Everybody who is an author—and think about that, we are all authors—and everybody who is an immigrant . . . should be writing their story and telling their story to others,” says children’s book author and illustrator Yuyi Morales. 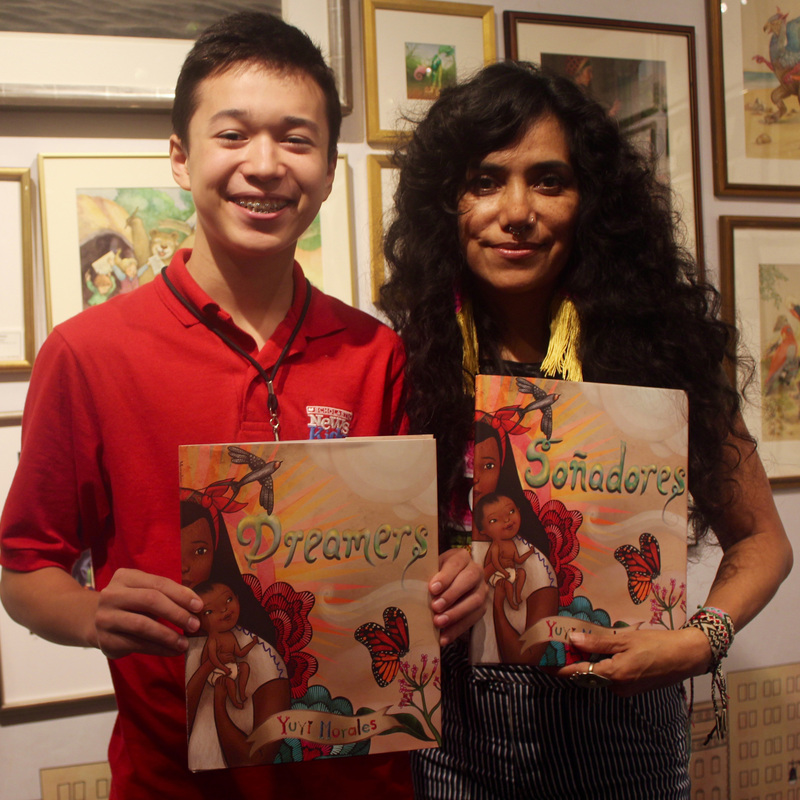 In her new picture book, Dreamers, and the Spanish version, Soñadores (Neal Porter Books, September 4, 2018), Morales tells how she and her infant son immigrated to the United States from Mexico in 1994. She may have brought only a small suitcase with her, but she carried so much more. Indeed, Morales and her son had to learn English, meet new people, and find a way to make the U.S. their home. In the picture book, they discover a special place: the public library. That is where their imaginations are set free. Maxwell talks with Morales at Books of Wonder in New York City. It’s whatever excites me and exploration, just see what comes, and maybe I don’t even know how to do it yet. I don’t have set materials, although I like painting and photographing, and I like making dolls. What does it mean to you to have been one of the first Latinas to have won a Caldecott Honor [in 2015]? You know what was so very special? That same year, Lauren Castillo, who is Latina, also won a Caldecott Honor. That was a really great moment because it acknowledged our art and stories. Our work is as valuable and as strong as the work of other people in the United States. Follow whatever is that fire, that light that calls from inside of you. Do not worry about materials or technique. Everybody can learn. So, especially for children who want to be artists, they already have what they need. They breathe, and their heart beats. They can use their own voice, their own way of telling a story and create. And do not compare yourself with anybody else.